I am contacting you to make you aware of my "Hunger Strike," and my demands and to ring the alarm about the oppressive administration here and to make sure my strike is "Documented." Being falsely incarcerated since the age of sixteen years old for a crime I didn’t commit, sentenced to 100 plus years, and fighting for my liberation has been no easy task against this racist regime here at Southern Ohio Correctional Facility (SOCF) in Lukkkasville, Ohio. At this time due to the continuous oppressive and outright abusive behavior of the administration, and harsh penalties for basic rule infractions, they have forced me to protest for change. This is my only means to protest nonviolently and peacefully to change the conditions and practices of this administration by laying my life on the line and going on a "Hunger Strike." I am only one voice and my sacrifice will be in vain without your support and the Power of the People. I'm nothing so I enlist your support and assistance to bring attention to this struggle and compel the power that be, to change and meet the hunger strike demands. I will need for you and the people to make calls to Central Office 614-387-0588, so that my Hunger Strike is documented and changes are made. To the world you are just one person, but to one person you may be the world. Thank you for your time and consideration in this matter and pray all is favorable to all concerned. I exit in revolutionary spirit. Shields up! 1) A complete end of denying prisoners the right to basic hygiene necessities or property (soap, toothpaste & deodorant) which is required while in the hole [solitary confinement]. 2) A complete end of denying prisoners the legal right to have access to their pending legal work to litigate the case while in the hole, and the immediate end with tampering with prisoners' incoming and outgoing mail. 3) A complete and immediate end to the recent arbitrary practice of handing down excessive and severe penalties for drug violations, and termination of visiting privileges when the Rule Infraction Board (RIB) have already handed down a penalty for Rule 39 and Rule 40. A 3-year non-contact visit from family and the outside world is unheard of for violation of Rule 39 & Rule 40, and extremely inappropriate and not healthy and destroys any possible chance to be rehabilitated to re-enter society. For this reason, favorable consideration shall be given and the penalty for violations for Rule 39 and Rule 40 shall be reduced to a reasonable amount of time that will not undermine the violation of the offense. 4) An immediate stop of violence against prisoners when cuffed, and stop the excessive use of force and spraying of prisoners with O.C. spray which causes severe health problems. Also, stop the embellishment of violation of Rule 4, to justify the physical assault of prisoners while cuffed. This prison has a very ugly history of "Excessive Use of Force" and this abuse must stop. These are the more important things that we expect to accomplish as a result of this "Hunger Strike." There are other issues, some more important, others less. As of 10 July 2016, there's a total of 3 that's on hunger strike. MIM(Prisons) responds: In another article reporting on this hunger strike, there were 20 people participating as of July 18. This comrade rightly frames the hunger strike as the last possible nonviolent option. When officials do not respond to a hunger strike, they are saying that they'd rather have a violent uprising than meet the demand to stop torturing prisoners. A public campaign such as a hunger strike is good to build organizing around a need: in this case, an end to solitary confinement, and adequate care for prisoners. In order to fight for an end to all conditions of torture and unnecessary suffering, our education needs to connect the hunger strike to a larger battle for justice worldwide, in other words, an end to imperialism. We write to further enlighten you on the progress of our hunger strike at the Southern Ohio Corrections Facility in the state of Ohio. Since you were last informed, other comrades have joined our cause to end solitary confinement and psychological torture in prisons all across america. We now have a total of about 30 prisoners who are currently refusing meals. Some of us are being denied medical assistance. Correctional officers have already sabotaged some hunger strikers, by planting food in their cells. The strike began on 5 July 2016, and staff are refusing to document the strike. Prison officials claim they don't care about our strike. If this is true, then why does the prison administration resort to such extreme tactics to discourage us? A hunger strike is more than just refusing food. But the spiritual power generated by our unified thoughts will manifest change. We enclose a list of demands, along with a notification to the public to please contact the Governor of Ohio and the media to inform that hunger strikers are being denied medical assistance. We greatly appreciate your integrity and will keep you updated. We of the inmates of Ohio ask for an end to solitary confinement and torture of inmates. We ask for the end of the practice of systematic racism. We demand for the end of unfair Rules Infraction Board hearings, which results in a denial of due process. We demand an end to officer brutality, including the assault with chemical agents. Inform them that hunger strikers are being denied medical assistance. MIM(Prisons) responds: We applaud the organization and commitment of these comrades in Ohio who are risking their lives to fight torture at SOCF. We have received a couple reports on this hunger strike. We agree that a hunger strike is more than just refusing food, and as another comrade puts it, it becomes the only nonviolent option left to protest how you're being treated. Rather than generating "spiritual power," though, hunger strikes can develop real world education and organizing. As more people see the struggle and are educated about it they learn from the strike and we gain supporters. How well we build this education and organizing depends a lot on a careful evaluation of local conditions so our time and energy and health is well spent. For instance, undertaking a hunger strike with only a few people without outside support or a way of publicizing it will most likely lead to not only a failed action but also will show others that this battle can't be won. It's always important to build for our actions so that we have the support and systems in place to make victory possible. Lucasville has a long history of prisoners going on hunger strike for basic necessities, and a broad outside support system has been shown to be one of the factors that make these protests successful. So we call on outside supporters to take the actions listed above and publicize this hunger strike through their networks. Through organizing together we can abolish the SHU! We also want to comment on the demand for an end to "systematic racism" which we would call systematic national oppression. This is a function of the criminal injustice system, by design. As a tool of social control, the Amerikan prisons are set up to target the oppressed nations. And so we cannot expect to eliminate this feature of the system without overthrowing the entire system. Demands like this one are just and righteous, but not winnable until capitalism is defeated. As this missive leaves me in Revolutionary Spirits and with strong desires for emancipation I hope it reaches you in the same manner. I continue to battle the anti-literacy tactics used by these jackbooted fascist Pigs that use the word censorship as a tool to keep us deaf, dumb, & blind. The administration of these Razor Wire plantations, better known as the overseers, have the dictatorship to keep us from reading certain books and material that will liberate us from the continuing cycle of returning to these slave pens of oppression. Nothing has changed from the tactics used in the 1900s til now, it's only hidden better. After the Nat Turner Revolt in 1831 legislation prohibiting the education of slaves was strengthened throughout the South. "In the words of one Slave Code... teaching slaves to read and write tends to cause dissatisfaction in their minds, and to produce insurrection and rebellion!" Any publication on the topic of conscious-raising is disapproved under the violation of Division of Prison Policy Section D.0109 (f) which consists of violence, disorder, insurrection or terrorist/gang activities against individuals, group organizations, the government or any of its institutions! We are given the option to appeal the disapproval, it’s then sent to the Publication Review Committee, and 80% of the time they agree with the first disapproval. The recent publications disapproved of mine are the new issue of Under Lock & Key, The Wretched of the Earth, and Huey P. Newton's To Die for the People! The Wretched of the Earth was approved [on appeal]. I’m still waiting on the approval of the other two publications. The Commune here at this Razor Wire Plantation came together to form a hunger strike due to conditions we are burdened with, such as the high percentage of disapproved publications. We were promised that we would be allowed to receive publications if we agreed to end the hunger strike! I must say that lately books have been coming in that would not have made it past the mail room. Before the hunger strike I brought to the attention of the overseer that decides to allow us to have the books or material sent in, that there were books in the library of this Razor Wire Plantation that encourage racism, the hanging of Blacks, but those books are OK because they are in favor of the "overseer's" ideology. When brought to the attention of this certain overseer I was laughed at when I showed him the pictures out of a library book titled The Red Summer of 1919, where a Black man was being burnt alive while a mob of whites looked on with smiles on their face. I was asked by this overseer why would those pictures bother me so much when I’m not a man of color? What I should do was mind my business and order books other than the ones I been ordering was what I was told! So I asked myself this question: is it possible for a white man to detest racism, oppression, repression, classism and capitalism as much as I do? Yes Racism is alive and well, but when you are a victim of classism it causes you to detest Racism! In today's time you don’t have certain communities among the proletarian class that's for one race only! (*) No, the poor live with the poor and the bourgeoisies live among the capitalists. The proletarian class and the lumpen are victims of poor education, which as we know is a pipeline to these Razor Wire Plantations. The educational system for the poor is a joke! (Angela Davis said: there is a distinct and qualitative difference between one breaking a law for one's own individual self-interest and violating it in the interest of a class or a people whose oppression is expressed directly or indirectly, though in many cases he/she is a victim). Poor education is another tactic used by the capitalist to be able to exploit the proletarian class! While selling their labor just to keep the lights on and food on the table there is no extra income for higher educational opportunity! So the proletarian class education system is the framework of the capitalist! The bourgeoisie gains their strength and stability from framework of poor education for the proletarian class. With proper education and educational opportunities the proletarian class could liberate themselves from the need to sell their labor to provide their loved ones with life's necessities! The capitalist know if this was to happen then the stronghold they have over the poor would be no longer! Most of us allow ourselves to be controlled because of fear of losing something. This fear is what the bourgeoisie uses against us to control us. These chains must be broken for emancipation to take place! It starts with the necessities of solidarity. Being in solidarity among the proletarian class means building strong relationships and strong communities of resistance. We must get back to the foundation of movement building, which is about building relationships and sustainable communities while breaking out of the confines of single issue organizing. Our accountability lies in what we do within our own communities. Focusing on our communities compels us to understand First World privilege (i.e. if you reside here you’ve got privilege). On the contrary privilege is layered by histories of slavery, colonization, patriarchal control, etc. Our solidarity struggles must therefore find ways to address these inequalities within. 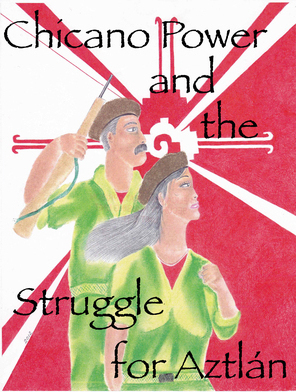 This involves listening and learning from the struggles of the proletarian masses. This would take the kind of inter-communal solidarity that Huey P. Newton had in mind. Comrades, it starts with us held captive within the gulags of these Razor Wire Plantations. How, you ask? Turning these Slave pens of oppression into Schools of Liberation! The Science of Revolution must be spread to the masses of the communities! The help of Revolutionary intellectuals is a must because the key to the people’s unity is Revolutionary Consciousness! Instead of wasting time on who is right and who is wrong, instead of not being in solidarity with the next person because of their skin color, we must come together and spread the Science of Revolution to the unconscious. Theory is made to be advanced; nothing can stay the same because the capitalists strategize ideas to continue to control change every day. When one advances the theory of Marx, Lenin, or Mao it is not in disrespect or disregard of these great Revolutionists. Lenin said: "without Revolutionary theory there can be no revolutionary movement." We must focus on our communities. If our own communities are not strong enough to stand up to neoconservatives, then the work of those who promulgate war without end, the dictatorship of the free market, and the stealing of indigenous land will be made all the easier! With no unity among us then we are weak and not a factor! There are many organizations, groups, and cadres with different ideologies but have the same goal in mind! As long as we fight amongst ourselves then we are allowing capitalism to live! The future of our emancipation lies in our hands people. So as I bring this to an end, I ask that you really think about our own Liberation and the well being of our communities as well as the future of education for the youth. Frantz Fanon said: "Each generation must, out of relative obscurity, discover its mission and fulfill it or betray it." What’s your mission? MIM(Prisons) adds: It is timely that comrades are organizing actions to protest censorship of educational materials by the North Carolina Department of Public Safety (NCDPS), as we just learned that a lawsuit will be going to trial on the same issue. Comrades on the inside and outside are making moves that culminate five years of consistent paperwork battles between MIM Distributors volunteers and NC prisoners on one side and NCDPS prisoncrats on the other. Those locked up in North Carolina recognized those efforts as our subscribership expanded during periods of time when Under Lock & Key was completely banned in the state. But prisoners did receive the protest letters sent by our volunteers and those letters circulated, sparking even more interest in ULK. As efforts build on both sides of the fence, MIM(Prisons) will continue to support and promote this campaign against illegal censorship and political repression. As this comrade argues, this is an important battle because it contributes to our efforts to make revolutionary science accessible to the oppressed masses. * While we agree with this comrade's points about education and censorship, we do not seem to agree on our analysis of class and nation in the United $tates. In recent analysis, published in part in Under Lock & Key 51 we show that the class make up of different nationalities in the United $tates are different and that segregation of communities is on the increase. We stand in solidarity with the comrades' actions in North Carolina across national lines for their common interests as prisoners. And while this is an example of class preceding nation, we believe that nation overall is the principal contradiction in this country. This is partially because class contradictions are so weak in the richest country in the world. And recent events around police brutality and prison abuse have shown us uprisings that are very homogeneous in their national makeup. And this is where we see the most radical fractures in our society. Prisoners in Wisconsin have been on hunger strike since 10 June 2016 to protest long-term confinement in control units in that state. As we reported in April, the Wisconsin DOC has been playing games with their policies that determine the length of solitary confinement sentences, but no real change has been enacted and prisoners in Wisconsin continue to be locked away for months and even years in isolation conditions that amount to torture. (1) The protesters are demanding changes to the segregation policies of the WI DOC. Reports suggest that the administration came down hard on suspected participants in the hunger strike, prior to June 10. In spite of this repression a number of protesters remained strong and undertook the strike. After seven days the prison began force feeding the activists, a clear attempt to torture them out of their resolve, because a seven day fast is not enough to seriously endanger most humyns. Further, force feeding comes with some serious health risks and we know the DOC medical services are already not working in the interests of the prisoners. As of June 29 six people were still refusing food. "As of now they started force feeding us and using it as an instrument of torture and punishment. However, because I refuse to let them abuse me and torture me like that without fighting back, I've suspended mine until I can get a restraining order to prevent such. I let them do it one time and they forced it up my nose so hard that when the membrane of the nasal seal popped it sent a bubble through my head and my head still hurts. I can't let the pigs beat me for free like that, but the comrades in Waupun are enduring it and a few plan to join next month." We continue to stand with the protesters risking their lives to force the WI DOC to end their long-term solitary confinement system. These courageous activists are fighting against a system that has nothing to do with security and is only used for social control. People who peacefully protest, such as these hunger strikers, are the most likely to end up spending years in isolation, conditions that are known to cause serious physical and mental health problems. The use of control units in so many Amerikkkan prisons across the country is just further demonstration that the criminal injustice system is not designed for rehabilitation; its purpose is to control society. Call Governor Scott Walker's office and tell em to reform the long-term solitary confinement units in the Wisconsin DOC and to stop the secret Asklepieion program at once. The number to call is 608-266-1212. Call the WI DOC central office and demand that all 6 humanitarian demands for this hunger strike be met and demand an explanation as to why they are operating a torture program. The number to call is 608-240-5000. Call any media outlets and demand that they do an independent investigation on the secret Asklepieion program operating at Columbia Correctional Institution (CCI), and report on the hunger strike. I write you to yall to thank you for your letters of support on our” ”hunger strike” to protest long term “solidarity confinement”. Thank you! I’m still on strike but now I’m being force fed. This is (ex)tremely humiliating, painful, and unnecessary... But it is what it is. I’ll continue to refuse food and water until they place a one year cap on the use of Administrative Confinement….under this status the D.O.C. can currently keep you in solitary confinement indefinitely. MIM(Prisons) responds: MIM(Prisons) responds: Read this article for a more detailed update on the Wisconsin prisoners' hunger strike to fight long term isolation and other abuse. Wisconsin prisoners at Waupun Correctional Institution are planning a hunger strike to begin on 10 June 2016 to demand an end to the torture of long-term confinement in control units in Wisconsin. In 2015, the Wisconsin Department of Corrections (WI DOC) made some policy changes to their use of long-term solitary confinement. According to the DOC, the number of prisoners in "restrictive status housing" was reduced by about 200 by reducing the maximum time prisoners can be put in control units (which varies depending on the justification given for this isolation). The WI DOC refused to release any information about these changes until compelled by records requests, and the total number of prisoners in control units reported by the DOC is highly suspicious as it is far lower than information gathered from surveys. (1) In addition, Waupun prisoners were not notified of the change to this policy, and months later were still being held for longer than the new regulations allowed. (2) It's unclear if the new policy is being applied uniformly across Wisconsin prisons at this point, but small reductions in the length of solitary confinement sentences will not solve the fundamental problem of this system of torture. The actual policies are available on the Wisconsin DOC website and include a table listing maximum time in "disciplinary separation" for various offenses. This includes 180 days for "lying" and 360 days for "lying about an employee," 180 days for "disrespect" and 180 days for "misuse of state or federal property." These are all easily abused accusations that prisoners are powerless to dispute. Furthermore, a Wisconsin prisoner can be put in a control unit for up to 180 days for "punctuality and attendance" issues and "loitering," and up to 90 days for "poor personal hygiene," "dirty assigned living area," and "improper storage. "(3) The policy also states "More than one minor or major disposition may be imposed for a single offense and both a major and minor disposition may be imposed for a major offense" which sounds like they can just pile on lots of offenses and sum up the total max days in isolation so that prisoners are held there for years. The demands of this protest include the release of prisoners who have been in solitary confinement for over a year, a length of isolation far exceeding what is commonly considered torture by international human rights organizations. "I have reasons to believe that these people have no plans of removing me off A.C. ... They have me in the worst conditions in the Wisconsin DOC. ... It is fly infested. I have black worms coming out of the sink. We can't have publications. "I have been in seg for over 13 years. and I haven't given these people any trouble in a long time, and what I'm in seg for is solely political. I am being punished for organizing for Black Unity and against institutional racism. I simply created organizations that advocated the advancement of Black people and that fought against Black on Black crime, poverty, ignorance, etc. It wasn't created to terrorize white people, as the totalitarian state would have you believe. It is well documented that long-term isolation causes mental health problems including hallucinations and delusions. This technique is used in prisons like Guantanamo Bay to torture military prisoners into making confessions (or making up confessions for the many innocents who suffer this torture). But in the Amerikan prison system this torture primarily serves to slowly erode the health of prisoners who are either confined to waste away for the rest of their life, or released back to the streets unable to care for themselves. Notes: 1. The The Wisconsin Center for Investigative Journalism reports that 1,500 inmates are held in segregation, while MIM(Prisons)'s own survey counts 1,800. These numbers are much higher than what the WI DOC is reporting even before the supposed reduction in 2015. 2. Wisconsin Center for Investigative Journalism, "Maximum stints in solitary cut, but Waupun inmates left in dark", January 17, 2016. 3. Wisconsin Legislative website, DOC code 303. 4. A Wisconsin Prisoner, October 2012, Torture in Control Units for Black Organizers, prisoncensorship.info. and "Rule 45 1. Solitary confinement shall be used only in exceptional cases as a last resort, for as short a time as possible and subject to independent review, and only pursuant to the authorization by a competent authority. It shall not be imposed by virtue of a prisoner’s sentence. 2. 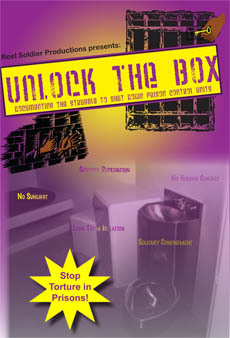 The imposition of solitary confinement should be prohibited in the case of prisoners with mental or physical disabilities when their conditions would be exacerbated by such measures. The prohibition of the use of solitary confinement and similar measures in cases involving women and children, as referred to in other United Nations standards and norms in crime prevention and criminal justice,28 continues to apply." United Nations Standard Minimum Rules for the Treatment of Prisoners (the Mandela Rules), 21 May 2015. I write to deliver an update as promised concerning the recent hunger strike which took place the 23 March 2016. Currently as of today the final two hunger strikers are relieved of their duties with a victory in hand!! As I was told, "it was a rough fight," and "a long long 16 days!" Not all, but the majority claimed victory along the fight. A lot fell off before the battle began. But a victory for one is a victory for all! We will continue to stay unified and fight each unjust act with every and all remedies we can muster up. As far as my knowledge, Dr. Fiscal, who was working for the administration and refusing to send anyone out to receive outside medical treatment, was walked off and fired. A hunger striker demand! Religious accommodations are now being reviewed. But the food is still short. The discrimination has slowed down but I'm sure it will be back once the heat dies down. In the beginning I would conduct a phone call to each brother's families (the ones provided) and provide them with all the phone #s they would need to call and apply pressure, including the Deputy Warden, Warden, Ohio Department of Rehabilitation and Correction (ODRC) Director, Ohio State Patrol, and any news station willing to listen and investigate. The prison would lie to the family and Ohio State Patrol until we started recording all conversations. Then things changed! For the most part everybody was persistent and in the end it all paid off. Thank you for your support. I depart as I came. MIM(Prisons) responds: We are not as optimistic as this comrade that this struggle has ended in a victory. It's unclear from this report, but we hope that the strikers who were seeking medical attention received more than just a firing of the facility's doctor. Adequate medical care would certainly be a victory. But the other loose demands of religious accommodations, adequate food, and national oppression (discrimination of "minority groups") are far from resolved. The oppressors have been showing us for centuries that expecting them to act in good faith is a losing strategy. There are no rights, only power struggles, and unless the oppressed are making clear demands and enforcing their rights, we expect no improvements. On the up side, this is a good exercise in how to conduct a campaign. It was advantageous to designate a point-persyn to keep the public informed of the progress of the strike. It sounds like the unity of the participants in the strike remains intact, and they can draw on this unity for future campaigns. So there were certainly victories in this battle, but more related to prisoners organizing, and getting their outside supporters involved, rather than getting the administration to concede to the demands of the captives.